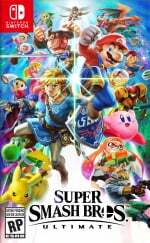 Japanese chart figures are now in for 7th - 13th January, revealing that New Super Mario Bros. U Deluxe has managed to steal the number one spot from Super Smash Bros. Ultimate. 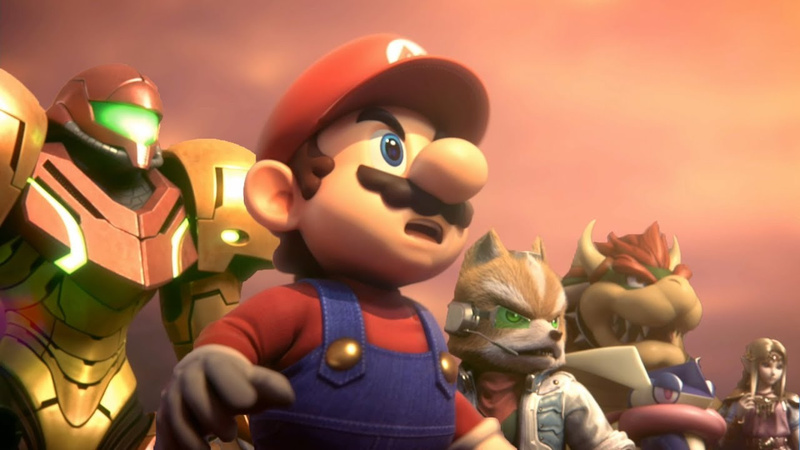 Smash Ultimate has had an incredibly impressive run since it launched back in December, taking the top spot every week for five weeks in a row. 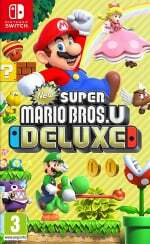 This week sees the first time the game has sold fewer than 200,000 copies, with New Super Mario Bros. U Deluxe's debut sales total of 166,303 units being more than enough to claim number one. Tales of Vesperia: Definitive Edition was another new entry this week, with the PS4 version of the game placing just ahead of the Switch version in the charts. Do you think Super Smash Bros. Ultimate will take first place back again next week? Are you surprised by any other entries this week? Let us know in the comments. Why do we have the American date format on a British website? So this is what a Mario vs Mario Smash battle looks like in a real-world context. The thought of identical twin brothers named Mario beating the crap out of each other also sprang to mind, but such a situation is probably improbable. Dear Ryan Craddock, I would like to inform you that there is only one country in the world that uses the 12/20/18 date format. And that's USA. All other countries more or less use 20/12/18. Thank you. 78K is still a pretty decent hardware total in January. I know it gets said every week but look at those Xbox sales! Only 50 combined, I've never seen them so low. "Tales of Vesperia: Definitive Edition was another new entry this week, with the PS4 version of the game placing just ahead of the Switch version in the charts." Oh please... 41k vs 26k copies, that's not just ahead. There's no shame admitting that PS4 version sold much better. The hardware side of things is crazy.. 75% of the market is Switch! @tangram surprising really since it's a game that's great on the go and I cant imagine graphically they are worlds apart. @tangram I wouldn't even take that too seriously though considering a new game came out on the Switch this week and perhaps stole some sales from the Tales game. @tangram It's surprising really. In the UK of all places, somehow the Switch version did best, while it only did like half as much in JP. I'm curious where US will fall on the spectrum. @Malanta7 Chart rating doesn't pain the entire picture, context is important mentioning just ahead when the difference is almost twice the number of copies sold is IMHO misleading. @Spoony_Tech Maybe that' it but quite odd nevertheless. I mean it's a JRPG and huge time-sinks benefit from playing on the go. Somebody is raging right now. I can't believe New Super Mario Bros U Deluxe is doing so well! I guess I should have since it's a Mario game but... outselling Ultimate for this month??? @Spoony_Tech Nice, how is it? Do you recommend it? @Agramonte To be fair, Japan doesn't have as much incentive to go back to Vesperia Definitive Edition as we do in the West. Japan is basically getting the exact same game they got on PS3 ten years ago with slightly prettier graphics, making it much less exciting than it is for us in the West, where all that PS3 content seems brand-new. For context, ToV seems to be selling better on Switch overseas overall. Including in the UK. @tangram Haven't played much but so far seems like a well made game. Mostly story in the first hour plus I've played. One battle but that was just learning the ropes. @Ooyah All countries use the year / month / day format and that's because of pc file naming. Officially, it's the dd/mm/yy format. The mm/dd/yy is a USA only date reading format. Case closed. For further information please see wikipedia and other information sites. Thanks. Nintendo beating Nintendo is the best timeline. My man MARIO., is ageing like fine fine wine he is in five of the titles in the top twenty and is holding down the top two chart positions.., What a beast, this has to be some kind of record for the books for a video game character. I bought it on day one! Great game, It’s probably my favorite Mario Brothers game. Japan uses YY/MM/DD. This is a Japanese chart. Switch sales are up nearly 100% compared to this week last year. PS4 and 3DS sales are down nearly 55% and 65% respectively compared to this week last year. I was making a programmer type joke about the international date format. Although there are some countries which use it as their official date format. Please feel free to Wiki that yourself. At this point I wonder about the hardware/software ratio of the Switch vs PS4. Nintendo has not sold as many consoles yet, but it seems the software goes of the shelve like hot cakes!! Where as PS4..
@ilikeike Not like New Super Mario Bros. U Deluxe has anything "new" for them either. "Why the hell are Nintendo releasing this pointless port??? ", we hear cries of across comment sections and youtube gamer channels. Hang on a sec, it's knocked Smash off the top spot in Japan and Red Dead and FIFA in the UK, fancy that. Simple answer is it makes them money. I'm wondering which will hit 3m first - Splatoon 2 or Smash? As for the Xbox. I really don't know what to say. @Agramonte Can't argue with you there. The only things I can say about that are the old "Not everyone had a Wii U" and "Portability makes old games more appealing" arguments. I think it's because most Americans would be confused by the way the rest the world writes their dates i know it confuses me every time for several of seconds. But maybe that's just me. @Ooyah exactly, that's the best format YYYY/MM/DD, even if you don't like it haha, Japan knows. @WiltonRoots Some people don't want ports. That's just a fact. However most consumers see a shiny new "Super Mario" game on the shelf and say: "Great for the kids.". Plus there are people than NEVER owned a Wii U (and more everyday) who does have a Switch. For them it's not a port, for them it's a new game. Plus there are still people, like me, that really loved the original and want to play it on the go. PLUS it's really easy money for Nintendo to help fund new games for the Switch, which is GREAT for the port-haters. The Switch has an outside chance of passing PS4 sales by the end of March. That would be impressive. I do not believe Switch will hit its 20m FY sales target but it's going to be close. Go switch go. Keep up the good work. @sanderev Exactly. It's quite simple really. @WiltonRoots Yeah.. sometimes I just want certain people to take a chill pill and move on. Hopefully because of NSMBD and the other successful WiiU ports, they’ll be compelled to port the last few WiiU games that should be ported. Like Tokyo Mirage Sessions, W101, Fatal Frame V and Xenoblade X.
I’ve really been enjoying NSMBUD. Never had a WiiU, so it’s like a new game to me. Really great level designs. Can’t wait for Mario Maker to get ported over. @electrolite77 I've seen this discussion countless time. Japanese date format is logical and so is most of the world. But a British website should stick to British format. You don't see a French or German website using pounds and miles. They’ve just copied it direct from the original listing. It’s not difficult to figure out nor IMO at all important. @sanderev It would be nice. It doesn't seem to take much to rattle people around these parts, the thing is 9 times out of 10 they're first world problems. Well well well... another successful story about NSMBU Deluxe... "just another lazy port" seems to be the mantra around here and yet- look at the sales! Fact is not everyone is a crusty old geek whose played every iteration of 2D mario games since super mario bros on the NES. For many gamers this is a new game! Think of all the 12 year olds who have just got a switch... this game is great for. Should have been awarded 9/10. If a new gamer finds this sight and reads 8/10 for this game I believe he/she will be being mislead by that score. @Cosats You're moving goalposts, pal. @Mailman You're going to be disappointed. Can you define what "proper" means in your sentence? @TheAwesomeBowser A bit salty there, aren't you?